SXSW is set to take over Austin, TX, once again from March 11 to 20, and organizers have just unveiled two high-profile guest speakers as part of the proceedings. United States President Barack Obama and First Lady Michelle Obama will both be keynote speakers, marking the first time that a sitting president and first lady have participated in the festival's 30-year existence. When he's not networking to try and kickstart his post-presidential music career, President Obama will sit down with Texas Tribune CEO/editor in chief Evan Smith on March 11 to discuss civic engagement in the 21st century. Speaking before an audience of creators and entrepreneurs, the president will urge the audience to apply their ideas and talents in working with technology for future world issues including climate change and the political process. Before presumably heading to FADER FORT on Wednesday (March 16) to party down to Metro Boomin and Desiigner, First Lady Obama will discuss the Let Girls Learn initiative, which aims to break barriers for 62 million girls worldwide without an education. In celebrating Women's History Month, the first lady will bring the global music industry together in her call to support girls' education. 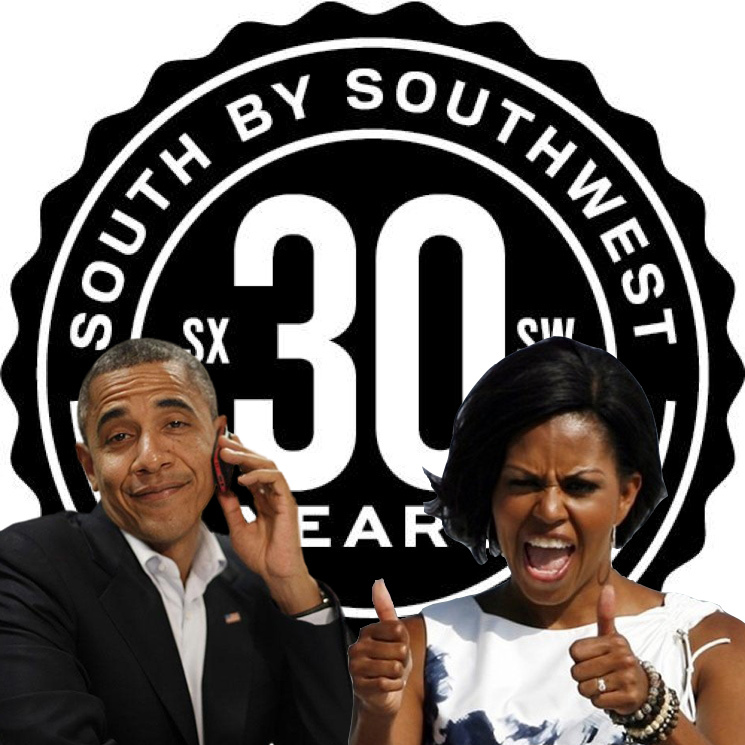 "I can't imagine a better way to celebrate our event's 30th year than to welcome both the president and first lady to SXSW," festival co-founder Roland Swenson said in a statement. "As each new generation comes up at SXSW they look for ways they can be of service, and it's important to reflect and support that message. President and Mrs. Obama's visit here will inspire attendees to that purpose." Details regarding location, time, streaming, and access to both events will be announced via the SXSW website in the coming days.